Labor laws change all the time. Just when you think you understand the latest regulations, the federal government introduces something new. And don’t forget state and local changes. They also come you fast and furious, so it’s critical to stay on top of the latest rules to ensure your business is compliant. One area you should keep a close eye on is the job application process. Across the nation, laws restricting employers from asking job candidates about criminal histories are on the rise. As of December 2017, more than 150 cities and counties and 29 states have adopted laws that limit what you can ask job applicants. Known as “ban-the-box” legislation, the new rules are designed to give individuals with a criminal history a fair chance at employment. Removing the question “Have you ever been convicted of a crime?” from job applications encourages employers to consider a candidate’s qualifications first, rather than rejecting someone outright because of a criminal past. If you’re in a major urban area, chances are high that ban-the-box laws apply to your business. In states or cities that have passed this legislation, you can’t inquire about an applicant’s criminal record until the job interview—or, in some cases, after a position has been offered to the applicant. You may need to delay background checks until then as well. Which states ban the box? Even if your state isn’t on the list, you shouldn’t assume these laws don’t apply to you. Several cities and counties have taken the lead in creating ban-the-box laws that extend to private employers. Ban-the-box legislation isn’t intended to force you to hire someone with a criminal background, but rather to create a fairer decision-making process. It shifts the criminal history inquiry from the initial application stage until later in the hiring process so applicants with past criminal records are given a fair shot at getting a job. The latest labor law trend gaining popularity is a ban on salary history questions for applications. This has already taken effect in four states and several cities. The law is designed to prevent employers from using past compensation as a basis for current salary and benefits negotiations with job applicants. The ultimate goal of banning past salary inquiries on applications is to foster equal pay between men and women. With the right tools, you can be certain you’re satisfying the latest ban-the-box laws when hiring. The Job Applications Smart App automatically complies with your state’s requirements so you’re always up-to-date, and it helps protect you from avoidable and costly legal mistakes. 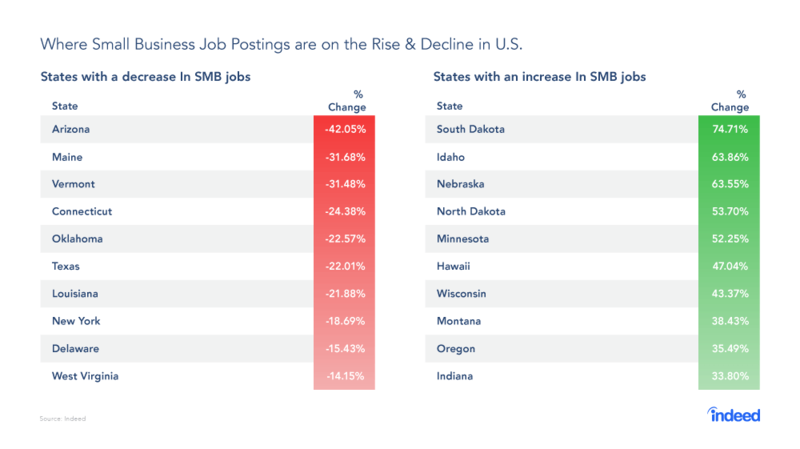 Are Small Businesses Getting Caught in the Crossfire?